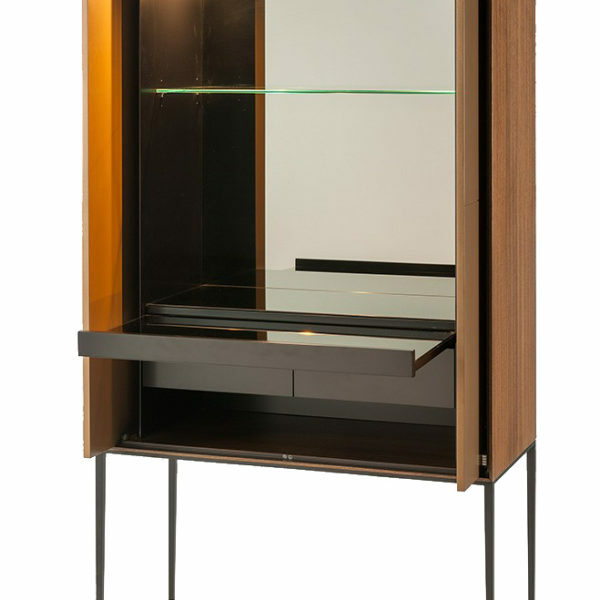 An elegant modern cocktail cabinet with its own mixing tray. 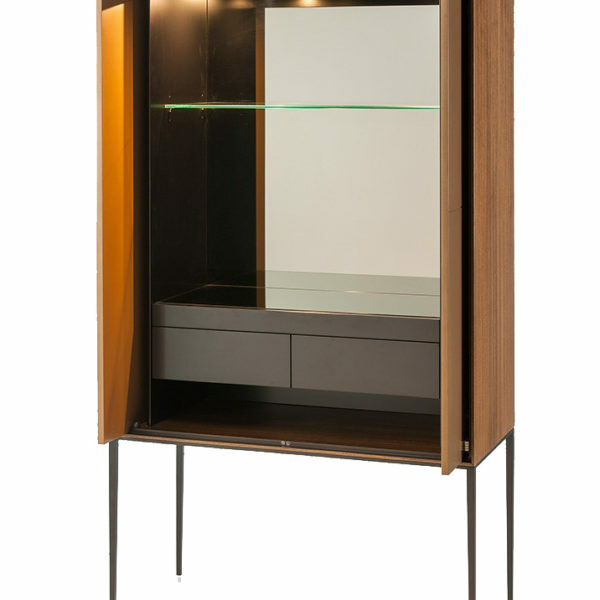 The body is made from Quarter Cut Victorian Ash Veneer with a polished Smoky Oak finish. 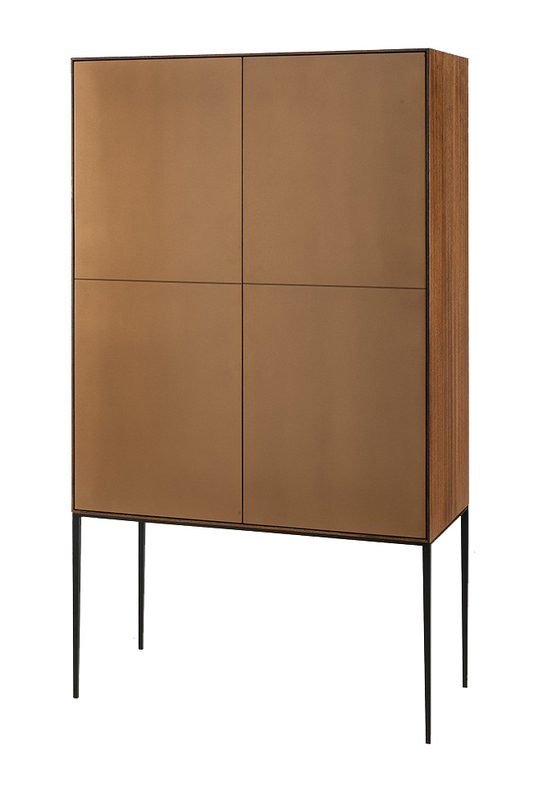 Combining the metal doors with the finely tapered legs which are powder coated generates a timeless classic design. Your own dimensions can be accommodated with different finishes.